There are many charities offering free sewing courses to Mayan women in Guatemala but we learned that without a sewing machine the graduates could not put to use their acquired skills. Our program aims at giving a sewing machine to each graduate of a sewing course. At each graduation we are greeted by former recipients who come to tell us how the machines and their sewing skills have lifted their families out of intense poverty and hunger. 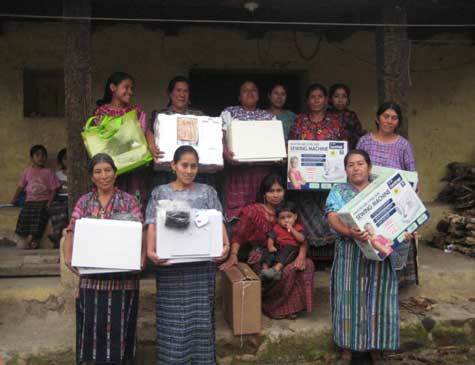 Besides making blouses, bags and aprons they sell at markets, some of the women formed a group now making skirts for Oh My Maya and sold on the http://ohmymaya.org website. Others are making diaper bags that Madison Women’s Health Weave of Hope are giving newly pregnant patients in Madison, WI. 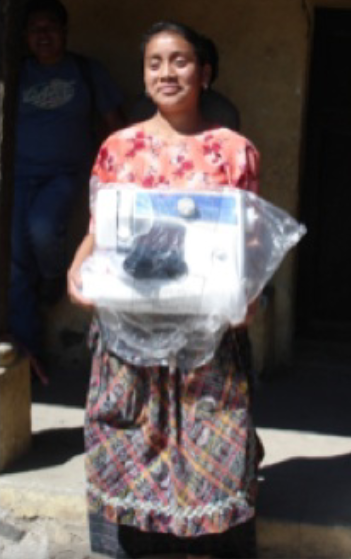 Please contribute to the sewing machine fund or donate one sewing machine. We will send you a photo of the woman receiving it.